HENEK’s molded end air intake fitlers utilizes high-quality industrial grade air filter paper that is pleated and oven cured during production. Rugged elastic PVC end seals are cured with molded sealing beads to allow compression to eliminate contaminated by-pass. These elements are used to filter the intake air for compressors, blowers, air/gas pipe lines, as tank vents, as exhaust filters, as guard filters for bag houses or dust collectors, at waste water treatment plants, cement factories, flour mills, chemical plants wherever particles are in gas streams . 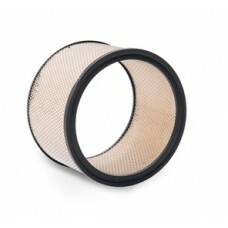 Maximum operating temperatures for most molded filters is at 250°F.